I'd distributed on Monday the word that Manitowoc Crane - - yet another iconic business in the Wisconsin which Gov. 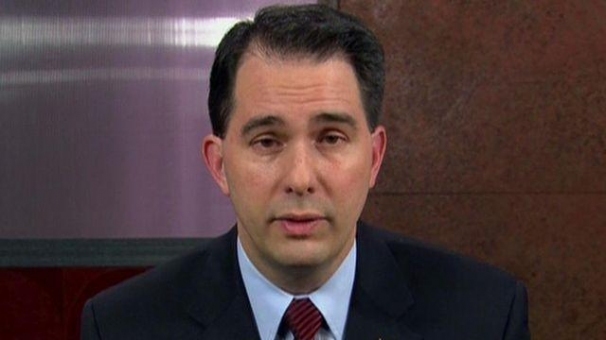 Scott Walker said was Open for Business - - was the latest to announce an export - - of jobs. Progress Lakeshore, the Manitowoc-area economic development corporation, said it will be working with the Department of Workforce Development, the Wisconsin Economic Development Corp. and other agencies to coordinate resources to help those laid off. You might as well take the resources expended in soliciting WEDC's help and throw them out the window. Somehow, I doubt scotty will talk about this at the trumpapalooza tonight in Milwaukee with fellow koch puppet Mike Pence. What a flip-flopper. From #neverTrump to leading a rally. Media reports are a "few hundred" -- does anyone know how many the Chrystal Ballroom at Hilton Downtown holds? I think the tickets were free and I did stop by -- the closed the doors at approximately 7 pm. I think the only people that were turned away were folks that arrived after the closed the ballroom doors to start the event. I know it wasn't packed -- but it would be helpful if our media would report how full the room was instead of a vague "few hundred" people. On second thought, it was Milwaukee Journal Sentinel that reported it that way at 7:45 or so -- they are Walker's BBF and I imagine they will fall in line with the GOP nominee & VP. Channel3000 deserves credit for posting the picture that shows a more-than half empty ballroom, but they should have included attendance in the write up. Wisconsin is blanketed in propaganda -- the Pence visit to Wisconsin was a flop and the Walker Milwaukee event was embarrassingly so. But don't expect any media in Wisconsin to accurately report what happened today, but the pic at channel3000 does demonstrate how dysfunctional all Walker "news" published in Wisconsin is. Wisconsin's media landscape is just shamefully bad and biased towards teabaggin' lies. As I said when Oscar Mayer announced its closing last year- if WEDC is doing nothing to keep these businesses from.moving, what the hell is it doing with the millions us taxpayers give it? It is a slush fund for GOP donors and a money laundering scheme for GOP candidates. Greg Watz-Chojnacki -- Yes, they did change the picture. I saw it and the room was half empty. Lots, and lots of empty seats.